Uniquely creative, one of a kind. Corporate or Personal commissioned paintings. 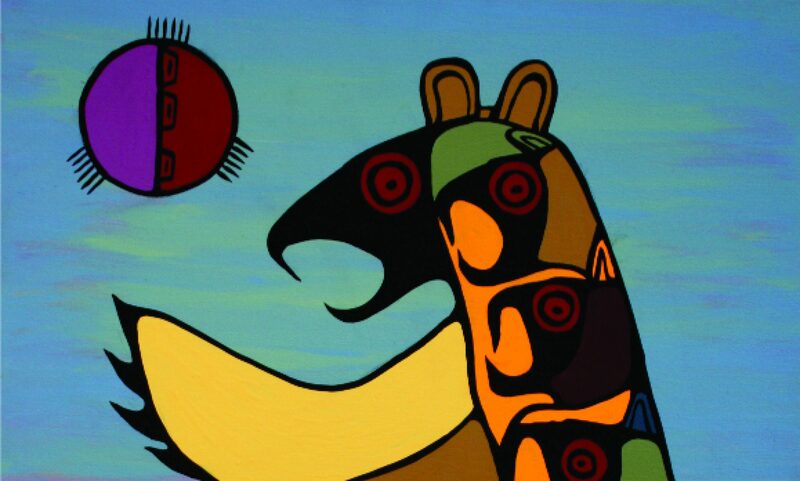 Your theme represented in the spirit of First Nations by John Laford. The process of creativity allows you to interact with the artist on the road to creation. It is not that complicated, depending how quickly we can find John , the process may take 8 weeks roughly. 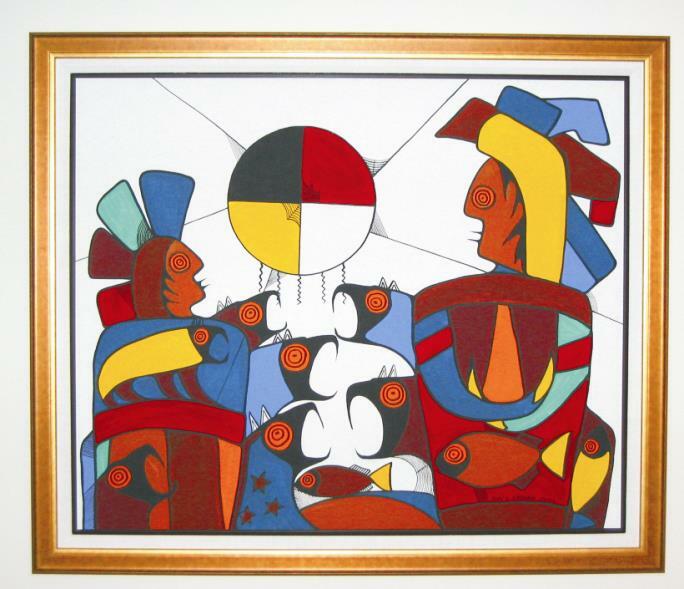 “Dreamcatcher”, From the collection of the IVEY school of business. The Dreamcatcher was commissioned by the graduating class of 2002 from the IVEY school of business. The class wanted to give back to the school for providing an amazing educational experience. It was fitting they used the Dreamcatcher as their selection. The concept of the Dream catcher is one of the more well-known and popular pieces of native North American culture. Long ago when the world was young, an old Lakota spiritual leader was on a high mountain and had a vision. In his vision, Iktomi, the great trickster and teacher of wisdom, appeared in the form of a spider. Iktomi spoke to him in a sacred language. As he spoke, Iktomi the spider picked up the elder’s willow hoop, which had feathers, horsehair, beads and offerings on it, and began to spin a web. He spoke to the elder about the cycles of life; how we begin our lives as infants, move on through childhood and on to adulthood. Finally we go to old age where we must be taken care of as infants, completing the cycle. “But”, Iktomi said as he continued to spin his web, “in each time of life there are many forces; some good and some bad. If you listen to the good forces, they will steer you in the right direction. But, if you listen to the bad forces, they’ll steer you in the wrong direction and may hurt you. So these forces can help, or can interfere with the harmony of Nature.” While the spider spoke, he continued to weave his web. When Iktomi finished speaking, he gave the elder the web and said, “The web is a perfect circle with a hole in the center. Use the web to help your people reach their goals, making good use of their ideas, dreams and visions. If you believe in the Great Spirit, the web will catch your good ideas and the bad ones will go through the hole.” The elder passed on his vision to the people and now many Indian people hang a dream catcher above their bed to sift their dreams and visions. The good is captured in the web of life and carried with the people, but the evil in their dreams drops through the hole in the center of the web and is no longer a part of their lives. It’s said that the dream catcher holds the destiny of the future.